Fitness trackers are gaining popularity in the current world, and this has led to so many models being introduced in the market. Choosing the best fitness trackers has even become more difficult. The most important thing that you should consider is getting a tracker that meets your needs. It doesn’t matter whether you want a fitness device for sleep tracking or step counting, there is always a device that will address your needs. I have provided you with a comprehensive guide that includes some of the best fitness trackers on the market as well as some important things to look at when buying a fitness tracker. If you want a quality fitness tracker that will not be bulky to carry with you, I have provided you with some highly rated brands that are worth purchasing. Track your fitness conveniently with any of the following fitness trackers. If you are in any fitness program, having a fitness tracker is essential. Such a device is important because it provides you with real-time feedback by tracking different activities. For useful and accurate product tracking, you can try the lintelek fitness tracker ip67. This device is easy to use, and you need to wear it as a bracelet. There are different activities that can be tracked by this device. This versatile fitness tracker can be used for step counting, calorie tracker, distance tracking, sleeping time, remote camera, incoming call notice and find a phone and much more. Another impressive thing with this fitness tracker is its compatibility with Bluetooth 4.0, Android 4.3 and IOS and other later smartphones. This fitness tracker is among the best on the market that tracks essential details when you are sleeping. It will record the quality of sleep, how long you have been sleeping, waking you up in the morning and analysis of your sleep data. It is a very effective way of helping you get a healthier sleep. With this fitness tracker, it is easy to get guidance and motivational feedback so that you can improve your daily activities. You can have this fitness tracker on your wrist when you are swimming, cycling, running, traveling, climbing, walking or even when doing yoga. Having an activity tracker for your fitness is the best way to help you stay active and achieve your fitness goals and objectives. There are different types of trackers that you can get offering various types of activity tracking. 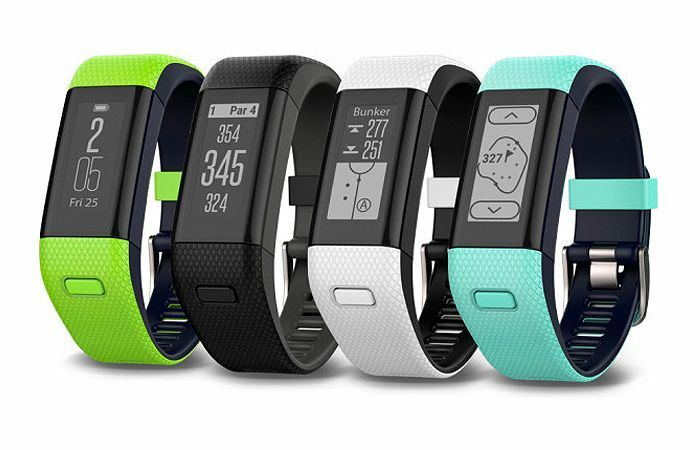 Have you tried the Garmin vívofit 2 Activity Tracker? If you haven’t, you need to get this black activity tracker that fits comfortably in most wrists. This is an excellent device that measures the activity levels, the distance traveled, steps are taken and the hours slept. This fitness tracker records activities regardless of whether there is a heart rate monitor or not. On top of that, it has an audible alarm that reminds you when you have been inactive for one hour. No single bit are you going to miss when you have this fitness tracker. Whether it is bright during the day or in the dark, you will always see the details on the screen clearly. Just turn on the backlit display so that you can get a clear vision even when it is dark. This fitness tracker is designed in a way that the rain cannot destroy it. Whether you are showering wearing it on your wrist or just caught out in the rains, you do not have to think about the tracker getting damaged. With this device, it is easy to pair it with your mobile device at any time of the day. The good thing with this fitness tracker is that it has a long battery life, so you will have to charge the battery less frequently. Having the right fitness tracker is the only way in which you can get relevant information that will help you boost your health. When you are selecting a fitness tracker, you should go for a product that offers accurate information. One of the best devices that you can depend on for optimal performance is the EFO-S BLACK K5 Wireless Activity and Sleep Monitor. This is an amazing device that does an excellent job in recording and tracking steps accurately and can also be used to measure the daily walking distance. At times, you might be very busy such that you can forget to take your exercises. With the EFO-S BLACK K5, you are always reminded to take exercises when your body remains still for quite some time. Knowing more information about your sleep helps you improve your lifestyle. This powerful fitness monitor tracks how long you have been sleeping, the amount of time spent sleeping and whether the sleep is deep or light. This will help you develop healthy sleeping habits. The message notification in this device indicates the messages sent and messages received. However, for this function to work effectively, it needs to install SMARTZERONER. Another interesting thing with this tracker is that it turns into sleep mode so that it can save more power. Some of the fitness trackers you will come across as designed as watches or bracelets making it easy to put them on your wrist. You can also find other models that have a chest strap and others can be attached to your clothes to track your activities. The Juboury Universal Bluetooth Smart Activity Tracker is a wearable watch that tracks different parameters to help you improve your fitness. This activity tracker comes with a screen that shows distance, calories, sleep quality and the time. All the information is displayed clearly for easy viewing at a glance. With this device, you do not have to make a habit for your partner to wake you up. It is designed with a silent wake-up alarm that ensures you do not oversleep. The USB port that comes with this device has a special which makes it easy to charge through by connecting it to a computer and mobile driver. It is possible to synch data through Bluetooth with Android smartphones and iOS. It is critical to note that the OS should be IOS 7.0 and above, Android 4.3 or above with Bluetooth 4.1. Tracking your fitness is crucial because it helps you do the right thing at the right time, and it is also a great way of improving your health and sleep. Here are some of the things that you should check when you are buying a fitness tracking device. Waterproof: A device that is waterproof is great because you can use it even when the weather is not conducive. You can still wear it when in the shower without worrying about damages. Design: What exactly appeals to you? Different users will have different opinions on the design of a tracker. It is just a matter of taste and preference. So you are not limited to a single design. Phone Support: This is another thing that you should look at when you are purchasing a fitness tracker. You will require Bluetooth 4.0 and the type of phone and OS you have should be supported. Battery Life: The average battery life for a smartwatch should be about three days and for the wristband should be around seven days. What types of apps and ecosystem is the device compatible with? Does the tracker have the ability to recognize your voice? There are some wearable devices out there that can be used to track your fitness. The devices can be smart watches and wearable bands that fit perfectly well on your wrist. Some other models can be attached to your clothes for convenient tracking. If you are looking forward to keeping track of all your activities, get any of the above fitness trackers, and you will always have an easy time. These small devices do a lot of work in ensuring that your body is active. They also come at very reasonable prices so they are not hard on your bank. It doesn’t matter whether you are a beginner or a serious trainer, having a fitness tracker is great when you are running, swimming, sleeping and walking among others. « Apple Watch vs Wear OS- What’s The Differences?